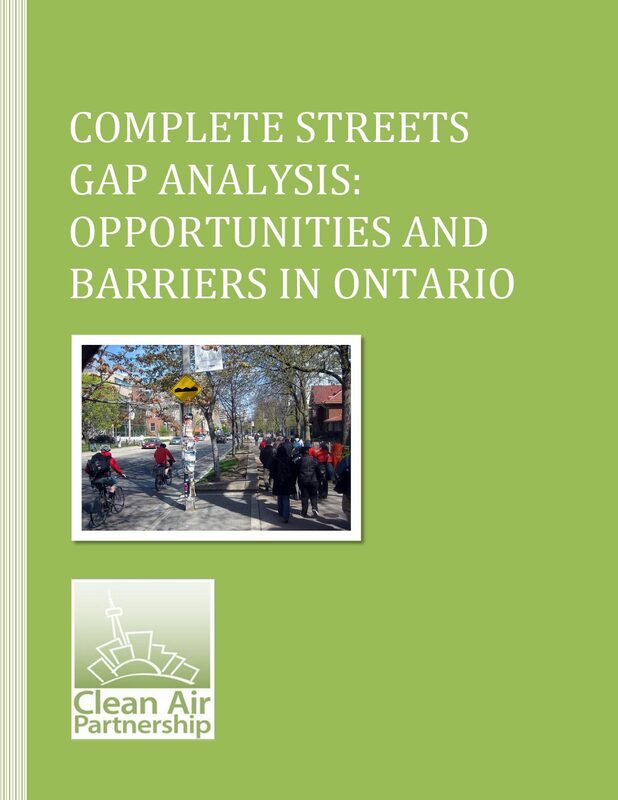 In fall 2011 The Centre for Active Transportation (TCAT) was awarded an Ontario Trillium Foundation grant to research the opportunities and barriers for Complete Streets across Ontario. The Complete Streets Gap Analysis released in April 2012 represents the results of the research. The research and report writing of the Complete Streets Gap Analysis was guided by a 10-member steering committee.